Visit our Geneseo NY Hearing Health location to discover the latest digital hearing aid technology. Our in-store hearing instrument specialists are available by appointment to provide you with a complimentary hearing evaluation. Using the latest hearing aid technology our technicians will look inside your ear canal using a tiny video camera known as a video otoscope machine. This exam is free and there is no obligation to buy any products or services. Call today to book your exam. Spaces are limited. Sean is a graduate of SUNY Geneseo who currently resides in Rochester, NY. In January 2018, Sean received the “Rising Star” award. 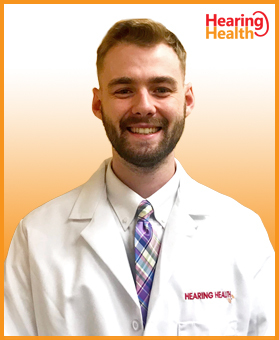 He is knowledgeable in the areas of audiometric testing and hearing instrument fitting. Sean prides himself on customer service, making sure each and every customer is being taken care of to ensure they are hearing their very best. If you haven’t met Sean yet, come and stop by. His door is always open and he’s ready for any question/concern you might have.